And the question is… why? If it were just a light accidental bump, presumably Pei would’ve quickly apologized in person and moved on. If it were something more sinister and aggressive, why is Pei blasting that out to the world? The inexplicable apology comes on the heels of last week’s round of punishments from Blizzard to Overwatch League pros and coaches, including a warning to Outlaws coach Tae-yeong “TaiRong” Kim, who issued a public apology for posting a meme about the bombings of Hiroshima and Nagasaki. That apology, as well as TaiRong’s vow to donate a grand to the Hiroshima Peace Culture Foundation, was part of why Blizzard didn’t bother to issue anything beyond a warning. So maybe Pei thought that he could get out in front of this and give Blizzard what they wanted. But even that seems odd. Blizzard and the OWL would likely want to take credit for any disciplinary action, or prefer that the situation not come out at all. So we’re back to the original questions: did Pei beat up some Outlaws backstage? Why is he profusely apologizing if he didn’t? 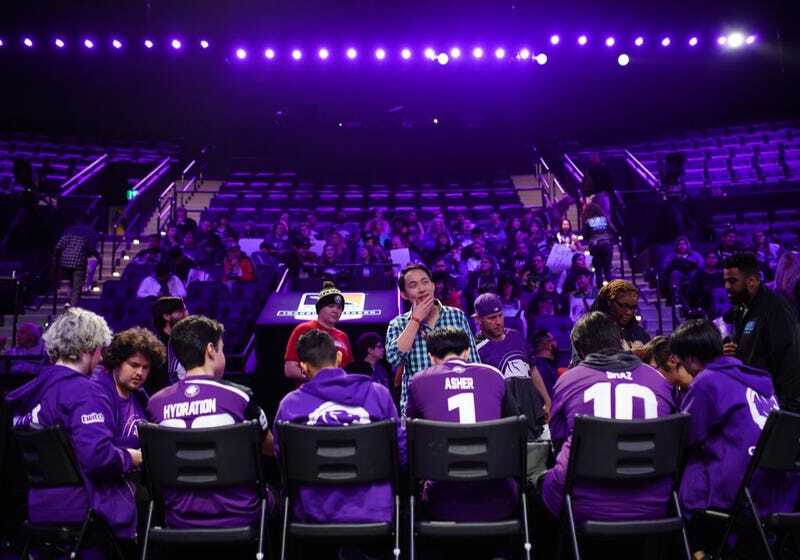 Compete has reached out to the LA Gladiators and the Houston Outlaws for clarification and will update this story as details emerge. If you know anything about what the hell happened between Pei and the Outlaws, please get in touch.